Steve Landers Jr. has been in the car business since he was old enough to drive. It’s in his blood. His father, and his father’s father, dominated the car business for a generation. It was only natural that he would follow in their footsteps. 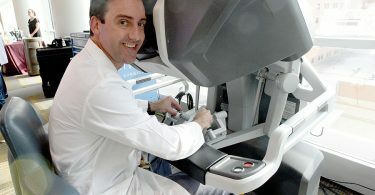 And for more than 24 years, Landers built upon his family’s reputation of distinguished deal-making in the world of transportation. 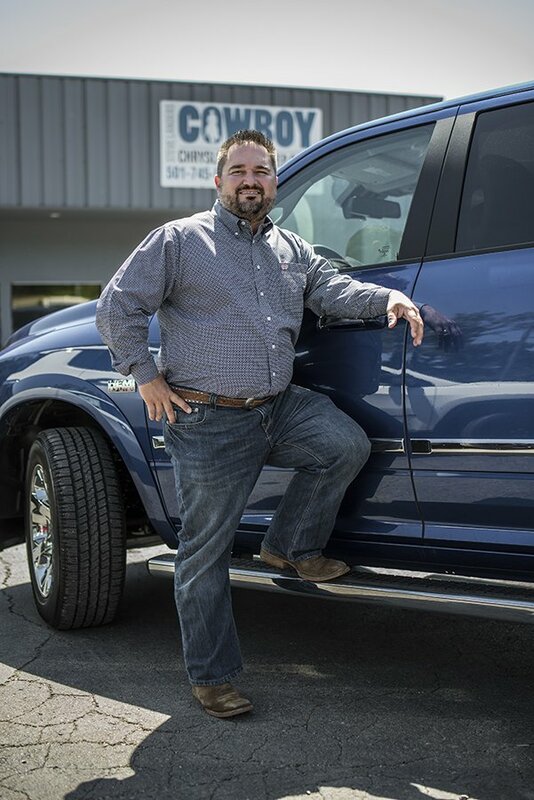 First, at the Benton-based Chrysler dealership his father, grandfather and cousin opened and ran for years. Then, alongside his father with Penske Automotive. By the early-aughts, he and his father and brother, Scott, were running their own Toyota dealership in Little Rock. Along the way, Landers opened a used car lot and a chain of pawnshops, dubbed iPawn, too. 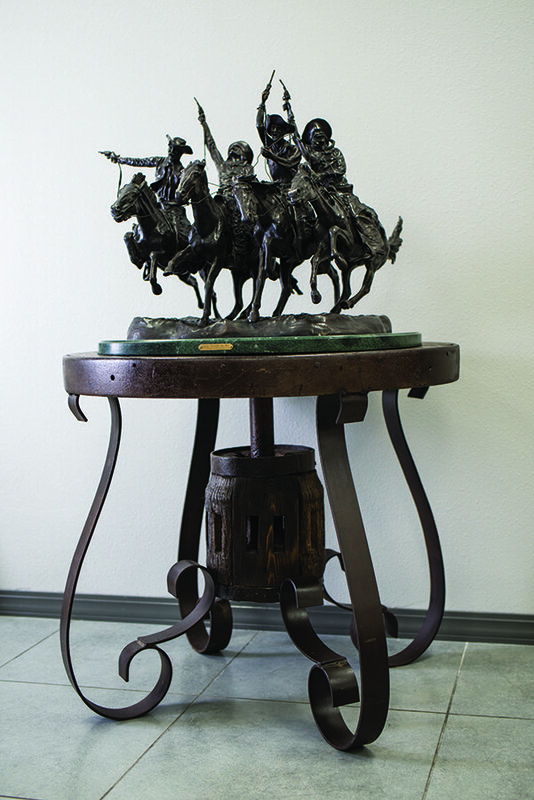 A bronze sculpture at Cowboy Auto Group by Frederic Remington. And for most, that would have been enough. 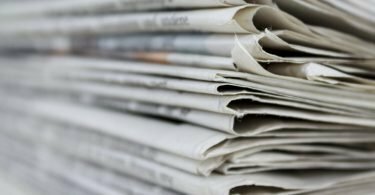 Had he chosen to, Landers could have continued to operate one of the state’s most successful car dealerships in the state’s largest city. He could have rested on the Landers laurels, kept living the big city lifestyle. But that ain’t Steve Landers Jr. He wanted something different. Last fall, the auto heir bought a pair of rural car dealerships, packed up his family and headed for the hills. And while it may not be John Prine’s Spanish pipedream, it’s certainly close.  In November 2017, Landers purchased a pair of dealerships from John Payton – one in Clinton and another in Heber Springs. A complete remodel of the Clinton store, parked right alongside Highway 65, is nearing competition. They’ve added office space and three acres of land for display space. There’s a remodeled showroom and customer lounge. 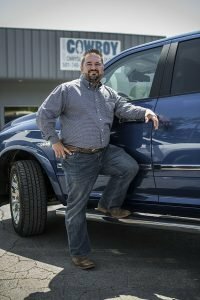 The move was part of a larger plan to get out of the city and back to the basics, back to what drew him to the car business in the first place. “Having to drive thirty minutes across Little Rock doesn’t interest me,” Landers says. “I’ve been in big stores all my life. It’s all I’ve ever been involved with… I’ve gotten back to what I enjoy, which is the direct involvement with the customers. I like helping people handle their transportation needs. That’s the fun part of the business. The Landers spend their time riding horses and driving up the Highway 65 corridor visiting other ranches and buying cattle from neighbors. “That’s just not something you get to do in Little Rock,” he says with a grin. And it’s fitting, then, that he would name his new company Cowboy Auto Group. 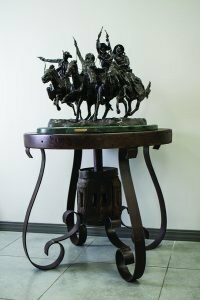 The theme is evident in the lobby of the Clinton dealership, where a large bronze sculpture by Frederic Remington of mounted cowboys, pistols raised, sits. In his office, cowhide covers chairs and steer horns hang overhead. 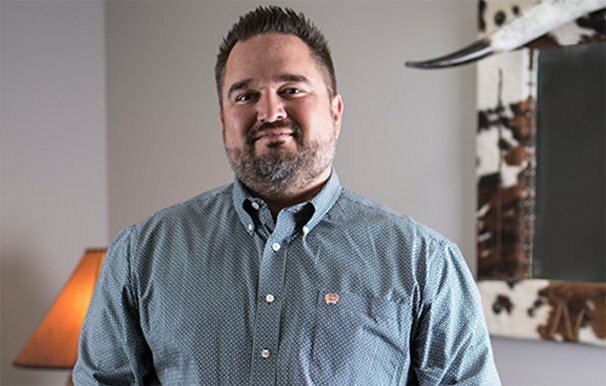 Back to the basics, Landers is happy selling cars in his new rural Arkansas community. And that way of life and business is also reflected in the way Landers has introduced himself to his new community. 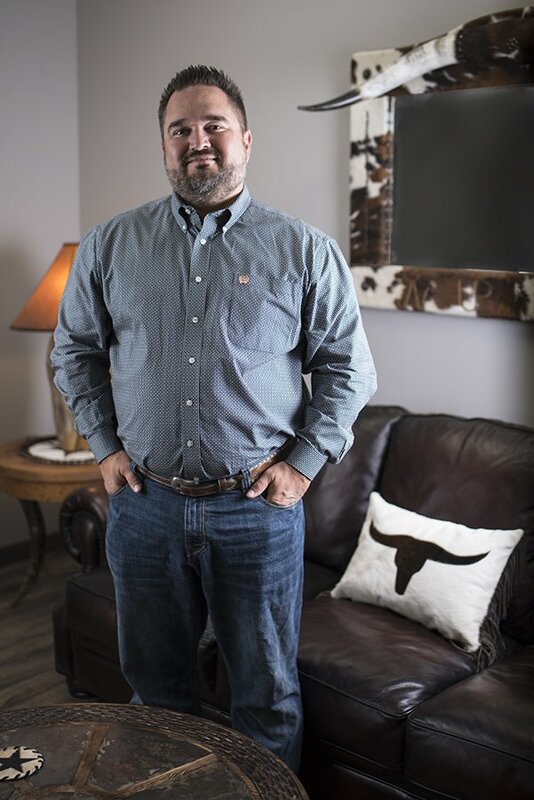 Since taking the Clinton and Heber Springs dealerships, he and his staff have worked to give back their neighbors, sponsoring sports programs, working with local schools. Landers says he hasn’t ruled out the possibility of expansion, but adds that he has no plans for doing business in the big city. Those days, he says, are behind him. Selling cars is personal. And that’s how he likes it. “I wouldn’t mind picking up another couple of stores. But I don’t anticipate going back into the big-city markets. I don’t want to turn it into a numbers thing,” Landers says. “I want it to be a situation like what we’re doing here, which is to get involved in the community and try to be a part of it. Arkansas Clinton Cowboy Auto Group iPawn Penske Automotive Steve Landers Jr.